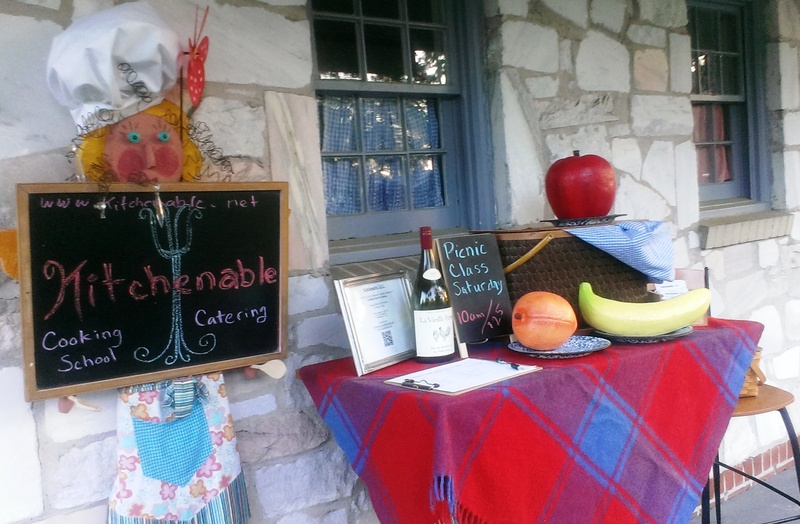 KitchenAble > Announcements > Uncategorized > What an Exciting Week! There has been so much going on for everyone this Spring and this week was no exception for us at Kitchenable! On Monday we visited Sealy Elementary School to help with their annual Health and Wellness Fair. It was fun to talk with the students about choosing healthy snacks and then show them how to pop popcorn without a microwave! Some of the kids didn’t even know that popcorn comes from kernels of corn! We visited with almost 400 2nd, 3rd, 4th, and 5th graders- it was quite the adventure! Please stop by on Food Truck Thursday! The school year is quickly wrapping up for Leon County students and we have had a lot of interest in our summer camps. Please don’t delay if you are planning to sign up- some of the weeks are starting to fill-up. Thank you to everyone that came to our Casseroles Class on Tuesday, what a fun group! On Thursday we had yet another amazing Food Truck Thursday at Lake Ella. If you haven’t participated in one of these fun events you really should. Starting at 6pm we have live music and plenty of delicious food options here at Lake Ella… and we usually have the Cooking Cottage open if you want to pop in and sit a spell. We may even have something you can sample. This week we also had a display to promote our Picnic class on Saturday. Our local tomato season has begun! We are delighted to enjoy whatever you want to share with us from your garden, the beauties below were grown by Susan at Glasswork by Susan. Susan has some plants in her garden that are over SIX FEET TALL (she says the key is mushroom compost!). 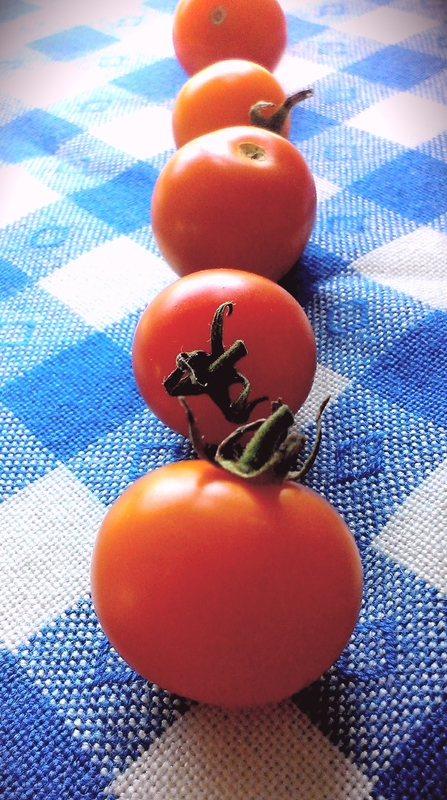 We do love our tomatoes and cannot wait to enjoy the “Tomato Feastival” next month. Hopefully we’ll see you there! Next Tuesday we being our two-part “Mother Sauces” series and then on Saturday we’ll help you figure out how to “Chill” this Summer with some ideas for “Cool Summer Treats“. We hope we’ll see you at a class soon!